At a launch event in Beijing, China Xiaomi on Friday launched its two new budget smartphone the Redmi 4 and the Redmi 4A. Other than these two handsets Xiaomi has also launched another variant the Redmi 4 Prime. In all these three variants Redmi 4A is the cheapest among other two. 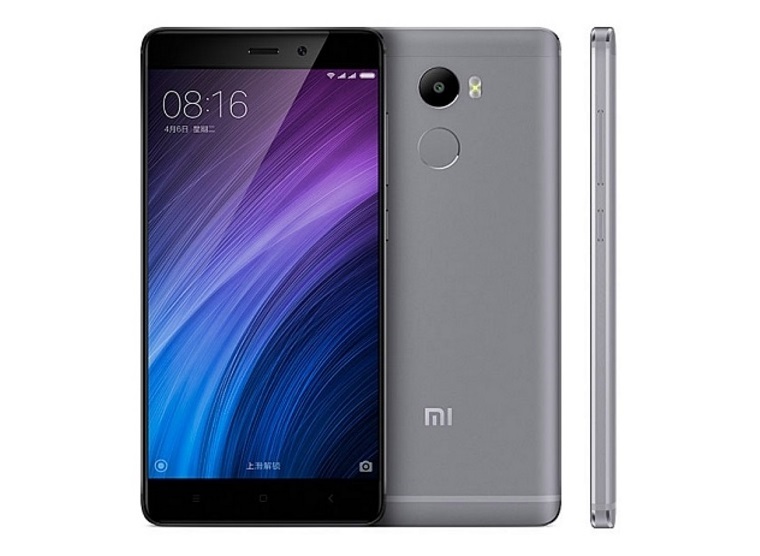 The Redmi 4A has been priced at CNY 499 (roughly Rs. 4,900), and will go on sale from November 11. The other two variant the Redmi 4 and the Redmi 4 Prime has been priced at CNY 699 (roughly Rs. 6,900) and CNY 899 (roughly Rs. 8,900) respectively, and are currently up for pre-orders and will go on sale starting on Monday. The Redmi 4A comes with a 5-inch HD (720×1280 pixels) IPS display it runs on the Snapdragon 425 chipset with a quad-core 1.4GHz Cortex-A53 processor, Adreno 308, and 2GB of RAM. It will be available in Gold and Rose Gold colour variants. The Redmi 4A features a 13-megapixel rear camera with PDAF, a 5-lens system, and an f/2.2 aperture, and on the front, the smartphone features a 5-megapixel camera with an f/2.2 aperture. It comes with 16GB of inbuilt storage that is expandable via microSD card (up to 128GB). Connectivity options include 4G LTE, Wi-Fi 802.11 b/g/n, GPS/ A-GPS, and Bluetooth v4.1. Sensors on board the Redmi 4A include accelerometer, ambient light, gyroscope, infrared, and proximity. Dimensions are 139.5×70.4×8.5mm, and it weighs in at 131.5 grams. The smartphone is powered by a 3120mAh battery with fast charging support. The Redmi 4 features a 5-inch HD (720×1280 pixels) IPS display, and is powered by an octa-core Qualcomm Snapdragon 430 SoC clocked at 1.4GHz coupled with the Adreno 505 GPU and 2GB of RAM. The Redmi 4 comes with a full metal body which makes it more strong and also gives a premium look to the phone but if you want to see your Redmi 4 look even more strong and stylish you can also use different types of mobile phone back covers from (Stylebaby.com/cases-covers) on your smartphone. It bears a 13-megapixel rear camera with an f/2.2 aperture, 5-lens system, PDAF, and dual-LED flash. On the front, it bears a 5-megapixel camera on the front with an f/2.2 aperture. It runs on MIUI 8 based on Android 6.0 Marshmallow, and will be available in Gold, Grey, and Silver colour variants. On the other hand the Redmi 4 Prime comes with a 5-inch full-HD (1080×1920 pixels) display, and is powered by a 2GHz octa-core Qualcomm Snapdragon 625 SoC coupled with Adreno 506 GPU and 3GB of RAM. It comes with 32GB of inbuilt storage, which is expandable via microSD card (up to 128GB). Except the Bluetooth v4.2, all other connectivity options remains the same from Redmi 4.